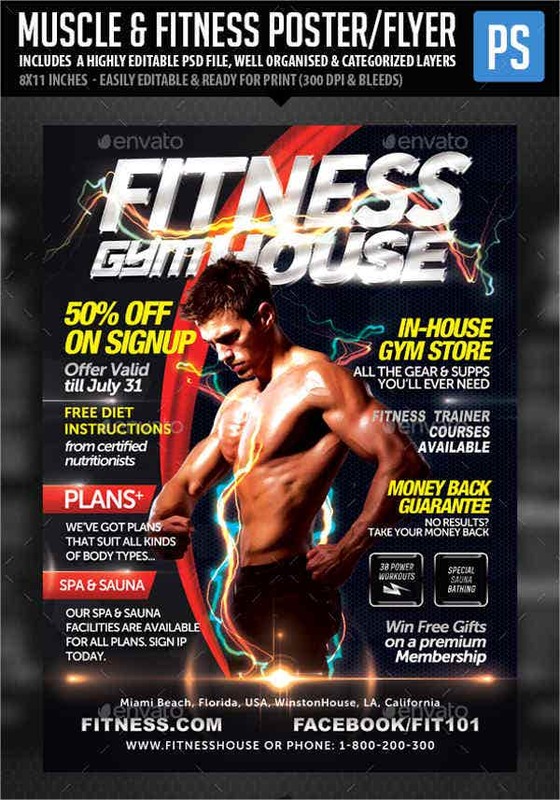 On the search for unique gym fitness flyers? Then you’ve come to the perfect page. 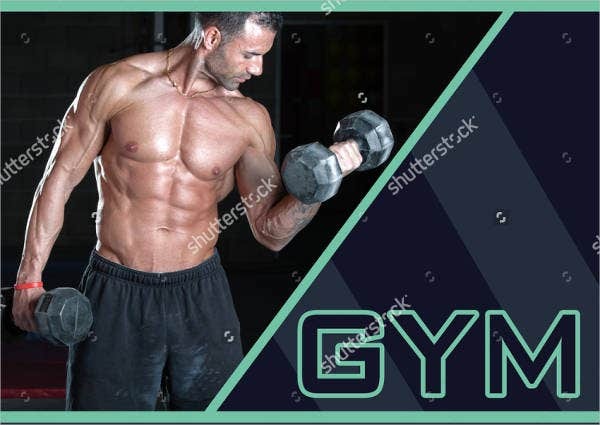 Your flyers must emphasize to your regulars that going to the gym must be a voluntary decision. 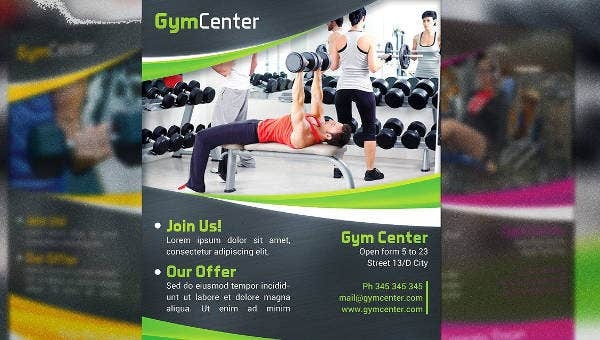 The flyer must say that your gym can help an individual achieve and maintain their fitness goals. 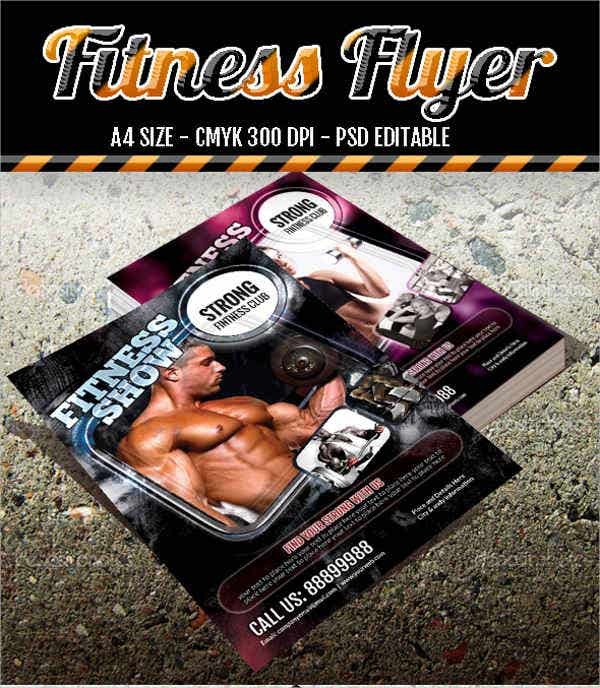 With that, we have a list of gym fitness flyer templates that you can download and use. They are high quality and are easy to download. 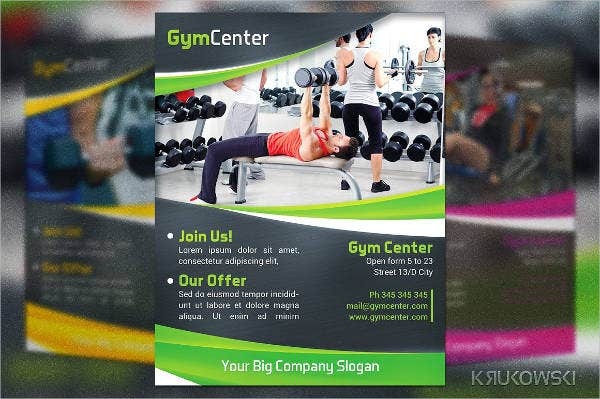 You can now start scrolling down and see for yourselves which among the flyer templates will promote best your gym fitness center. Design for a cause. 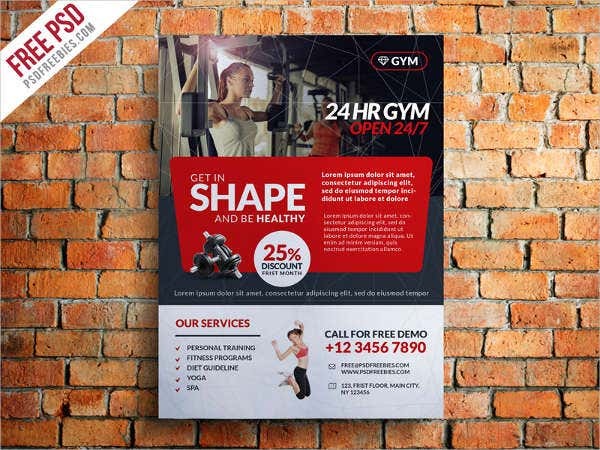 In designing your fitness flyers, it is a must that you enable the public to understand the significance of living a healthy lifestyle. Let them know the advantages of going not just to any other gym but to your gym fitness center. Emphasize a sense of urgency. Use a design that will engage them to act now in order to avoid further health complications. You can add pictures of your satisfied customers in your flyers. You can also add a little bit of success stories and testimonials. Unify the content and the design. 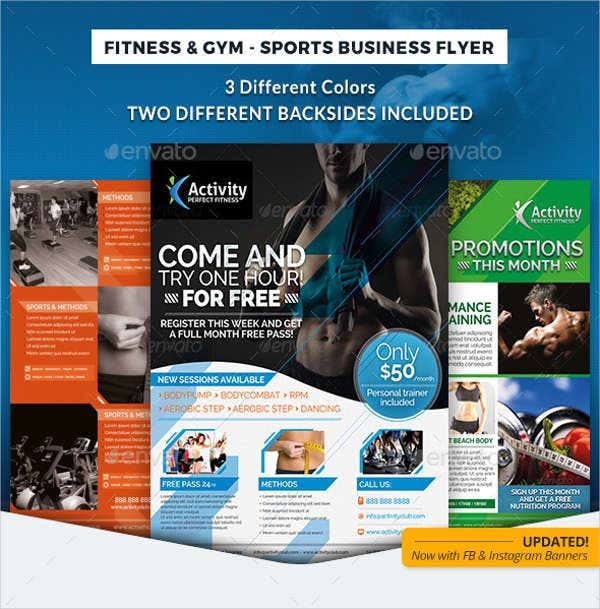 In here, you also take into account the font styles, design elements, color schemes used, the wordings of the flyer, and every other important angle. All the elements must push for a single thought and idea. 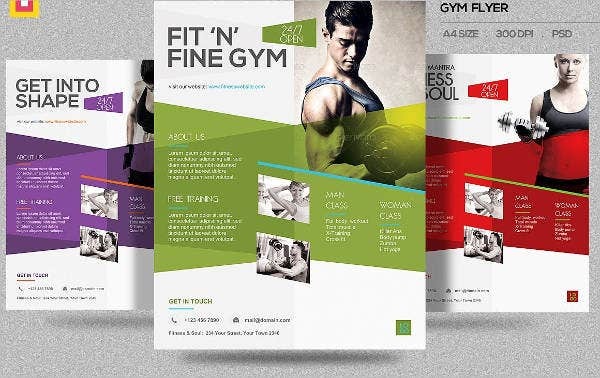 These are just some of our tips that you can use to ensure that your fitness flyers are effectively promoted. Feel free to download and use our templates. In sum, the road to a healthy and fit body is not just a decision but a commitment in itself. It requires utmost determination and discipline. You have to overcome the idea of exhaustion and controlling oneself from indulging into nonhealthy habits. Muscular strength fitness. It usually involves giving your muscles resistance and getting them to lift it or move it over several repetitions. The exercises all aim to build and strengthen muscles and specific muscle groups. Flexibility-related exercises. Examples of fitness-related activities that can improve flexibility are stretching, Pilates, and yoga. Cardiovascular fitness. These are exercises directed to help stabilize blood circulation. An example of such is running. These kinds of exercises reduce the risk of cardiovascular diseases and high blood pressure. These are just some of the fitness exercises that you may feature in your flyers. 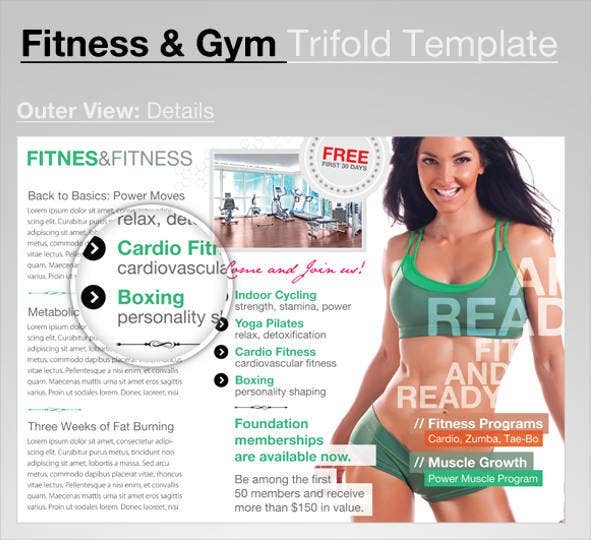 In order to hasten your work, download our gym fitness flyers.